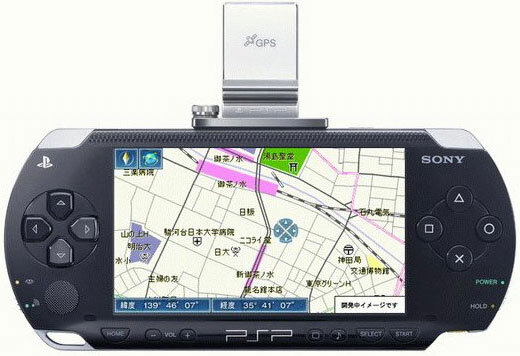 We told you last week about how Sony is pairing up its PSP (PlayStation Portable) with GPS navigation hardware and software, and now we have more information about the release that will reportedly ship in Japan this December. The picture we showed you of the GPS hardware didn't give you an idea of the scale of the tiny device, but look at the picture above and you'll see that it's a small antenna that screws onto the top of the PSP.  Besides providing GPS mapping and navigation functions along with points of interest (POI) info, that GPS attachment can also be used for games including a golf game, Everybody's Golf Course, which can give you information about your actual shots on a real-world golf course. There will also be upcoming games that will guide you around different spots so you can physically interact with other players, especially your enemies. Could be fun, or even dangerous.